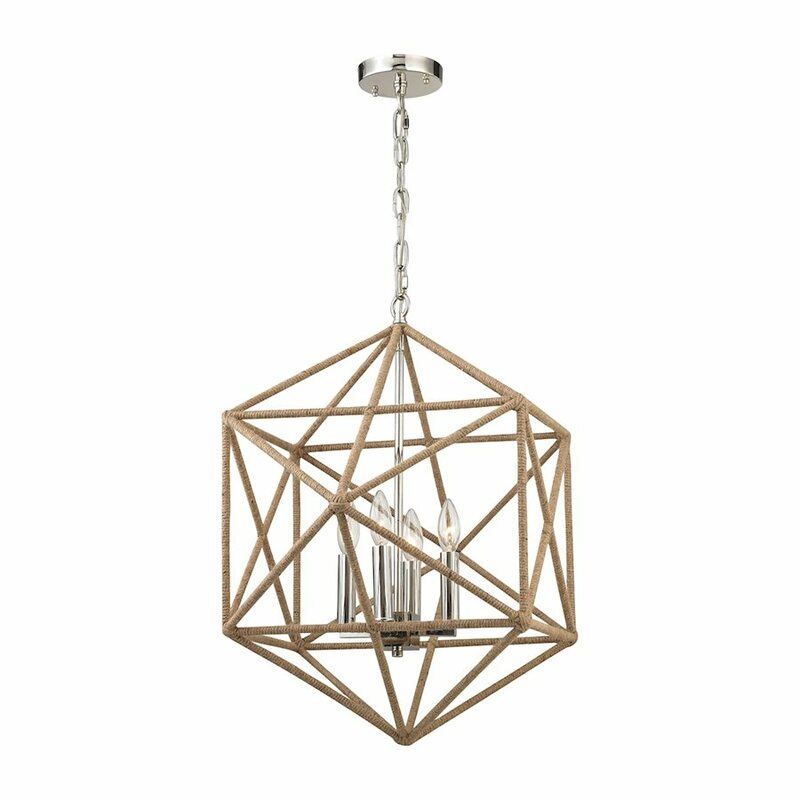 The Bridgette chandelier features a beautiful contrast of natural rustic rope and polished nickel accent. It's unique geometric shape is sure to add a touch of style to your space. The fixture comes in two sizes, 4 and 6 light. Lighting: 60W bulbs.